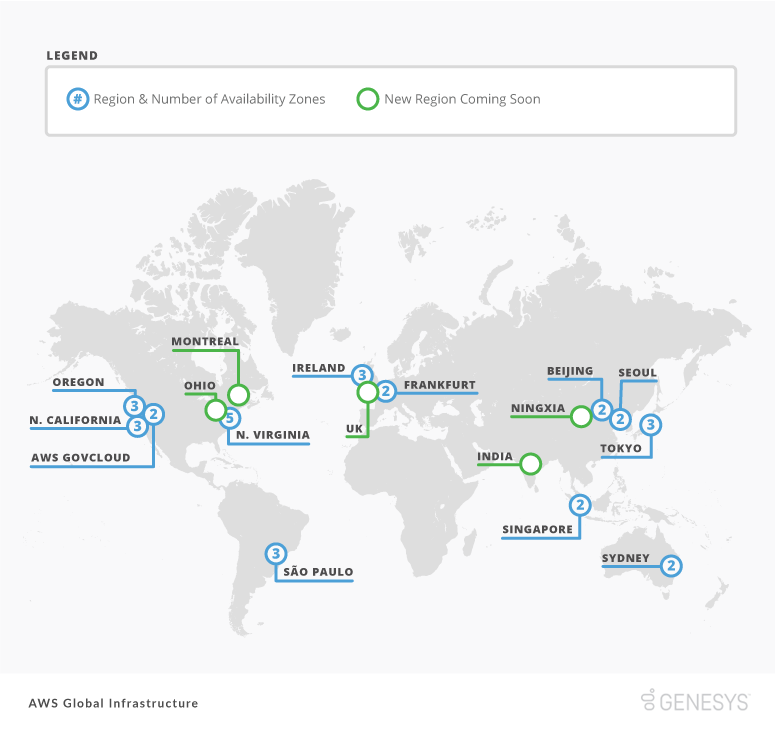 This diagram illustrates the AWS Global Infrastructure. This diagram illustrates the Geographic Availability. The independence of microservices and our extensive automated testing and build promotion process allows Genesys to push out bug fixes without the fear of inadvertently breaking something else. 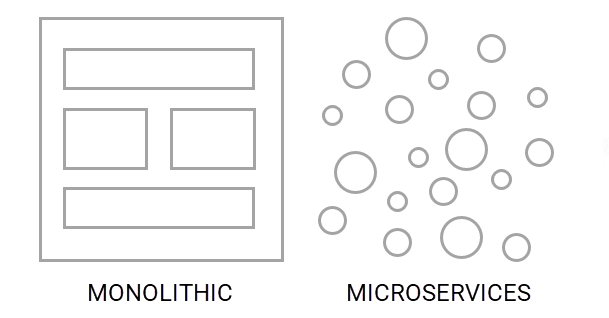 What’s more, Genesys can create microservices for new features without impacting existing services. Updates occur while millions of customers are actively using PureCloud.